For every application from residential to heavy duty commercial, American Tank Company proudly offers Structural Pressure Vessels. Proudly manufactured in North America, Structural tanks offer outstanding leak-free performance and durability. 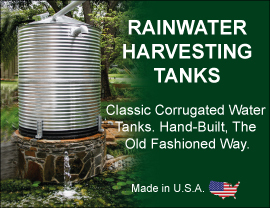 With a full line of mineral tanks, brine tanks and cabinets and resin tanks shrouds and as the leading water tank distributor, American Tank Company's offers a one-stop shop for products with outstanding performance and durability. ATC offers Structural Stock Vessels with diameters up to 96", capacities from 2 to 2500 gallons, pressures from 75 to 150 psi, and with ASME and NSF optional certification. Structural pressure tanks contain integrally molded threaded and flanged inlets offering leak-free performance. ROmate Tank’s corrosion-proof composite construction offer excellent benefits for use in both residential and light commercial reverse osmosis applications. Our Composite Tanks are a high-strength, lightweight, corrosion-resistant alternative to steel tanks, and a cost effective solution for industrial water treatment and storage tanks. Call toll free today: 1-877-655-5100 to speak to one of our friendly and knowledgeable Structural Pressure Tank Specialists.